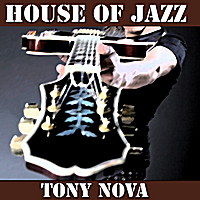 House of Jazz by Tony Nova Free mp3 download – Podcast, House Music Downloads & Mixes, all new Rare Traxx. A great tool for a DJ or Music fan “House of Jazz.” Tony has taken Nu-Jazz and House Music and combined it with Bossa Nova to produce a hot new house music download. The song has a solid bass-line with organ and keyboards; the melodies and and chords throughout are intricate and smooth. The addition of various instruments at key points gives the song tremendous depth and feeling. The strong Latin beats keep your feet tapping and makes House of Jazz a great song to get out on the dance floor and show off your moves.